The most awarded local radio brand in the UK has commenced its ambitious expansion plans by launching JACK and JACK 2 in Surrey and South London on DAB Digital Radio. An additional 3.8 million listeners will be able to enjoy the JACK breakfast show “JACK’s Morning Glory with Trev and Caroline”, which won a prestigious joint Presenter of the Year Award at the Arqiva Commercial Radio Awards last month. 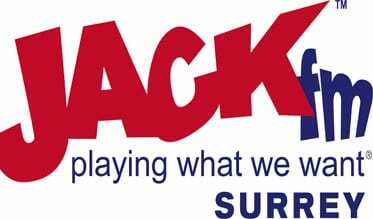 JACK 2 Surrey joins JACK 2 Oxfordshire as the UK's only radio stations allowing listeners to control the music. This new station uses innovative technology from FuturiMedia, allowing listeners to vote for their favourite songs on jack2.com and using JACK 2's mobile app. Clive Dickens, Oxis Media's Chairman, said: “We’re thrilled to be launching two brand new JACKs into Surrey and South London. We will have a strong local commercial presence in the area as we introduce our brand to local businesses over the coming months. As always, JACK will be at the cutting edge of all things digital and we’re excited to work with various local advertisers to help reinforce their commercial messaging. We acquired the JACK brand outright earlier this year which enables great opportunities for growth, and this is the first of a number of expansion announcements we plan to make in the next twelve months."